It's Happening! Unreal Tournament 4! Dark Clan Forum > Unreal Tournament 3 > Dark Clan & Unreal Tournament 3 > Topic: It's Happening! Unreal Tournament 4! The day we never thought would come is finally here! Thursday, May 8 at 2PM EST there will be a twitch stream about the future of Unreal Tournament! Re: It's Happening! Unreal Tournament 4! Strange, so at Epic, the left hand doesn't know what the right hand is doing? It's just a few weeks back, when Sweeney officialy stated, no game in the Unreal universum was in the works or even planned in the medium run. 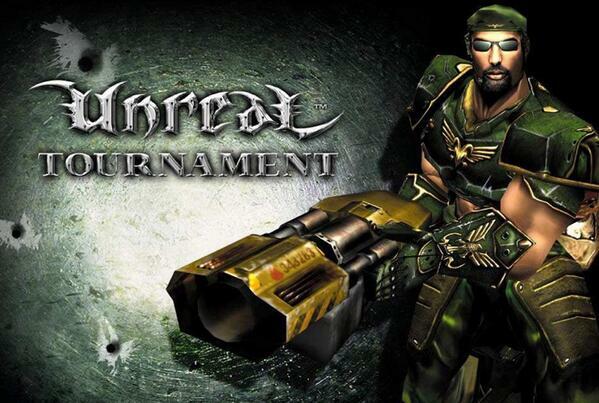 I wouldn't mind a mixture of "unreal" single player and "unreal tournament" multiplayer. Sounds good, as long as it is a full (not half-done at release) and PC targeted game, not a pay2win or mobile phone game. -FOV limited to 65 w/o possibility of tweaking! In fact no settings tweaking at all! -enemies show up on map (no need for wall hacking)! -day 1 DLC - enforcer with autoaim - just like in Titanfall! -able to carry up to 3(!) weapons at once! -weapon unlocks and class kits! -skinpacks starting from € 2.99! Hopefully they'll leave all of the free2play and mobile gaming experiments to Fortnite. These demos should work without requiring the engine. Wow EffectsCave pretty nice, but can't find in UnrealEngine.ini "fullscreen" option, can u tell me where I can find it to make full screen? If there is no option for fullscreen, try Alt+Enter to go fullscreen while the demo plays. Effects so impressive, but wtf with textures, they are looking like old ue3 texs.. So smoothy so bad :/ But effects very nice, water looking good, not so plastic like with ue3. I don't like what I read. I totally forgot to add there will be no demorec support whatsoever. I think Epic will port the main features to the upcoming UT title. From what I understand, the "future of Unreal Tournament" is mostly in our hands as it is stated "UE4 dev community + Epic". Completely free without any barrier.